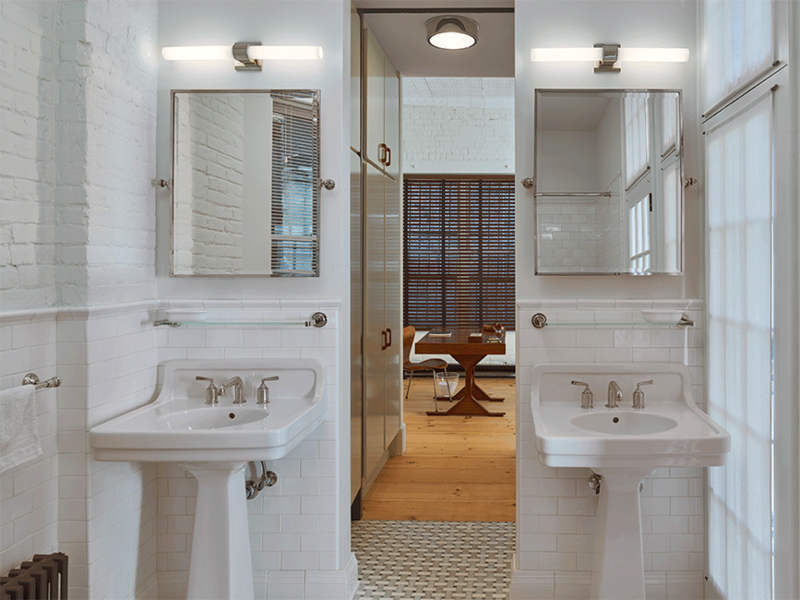 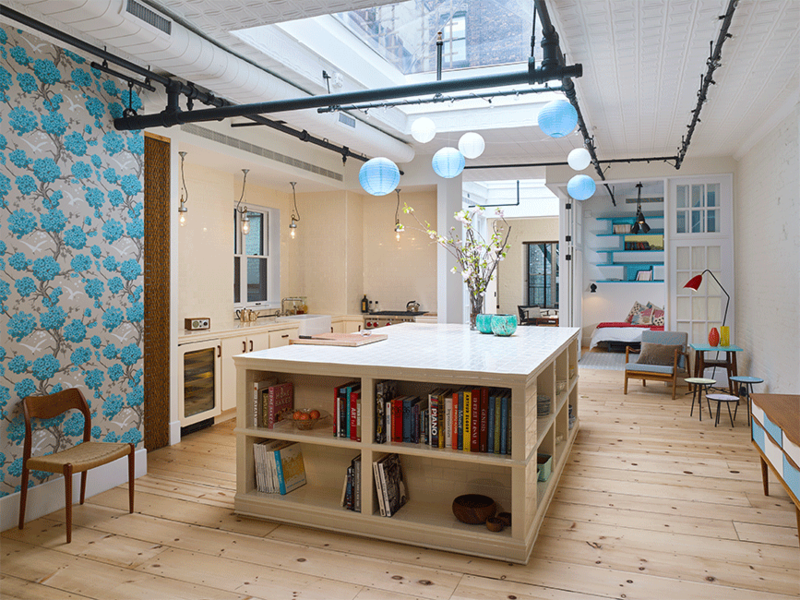 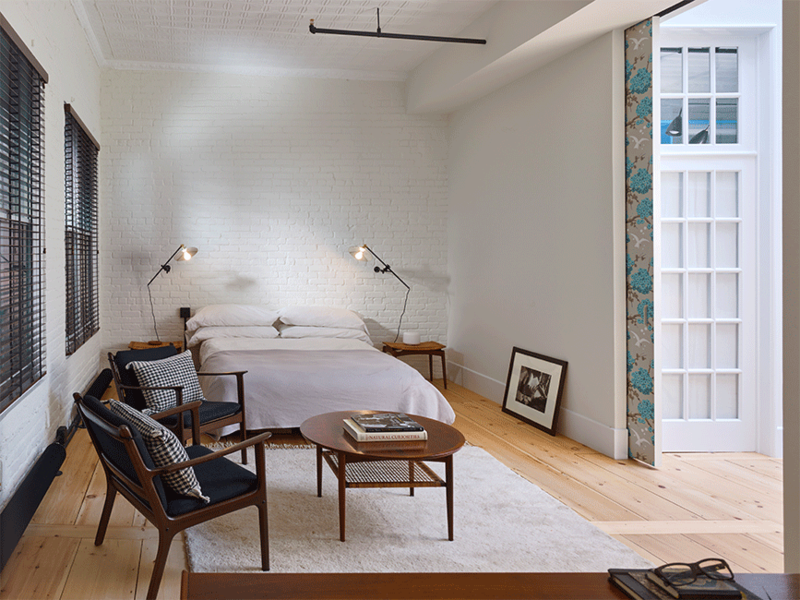 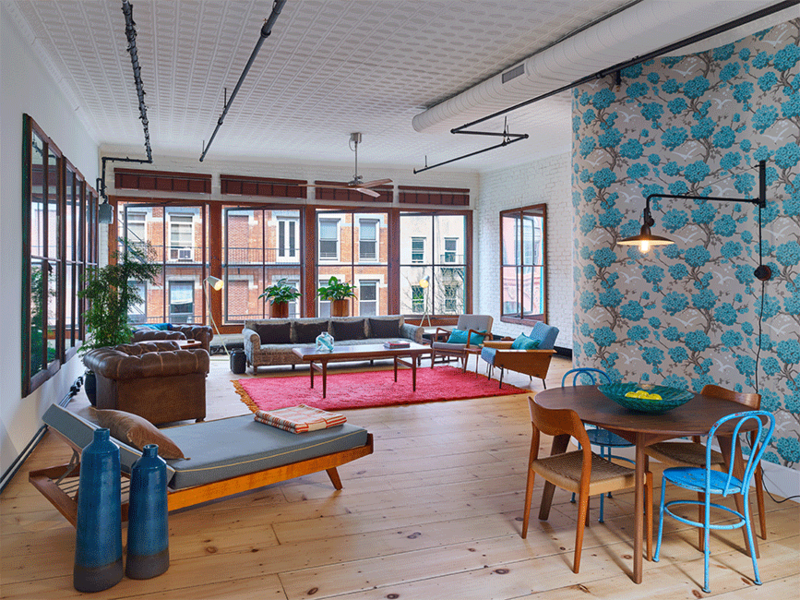 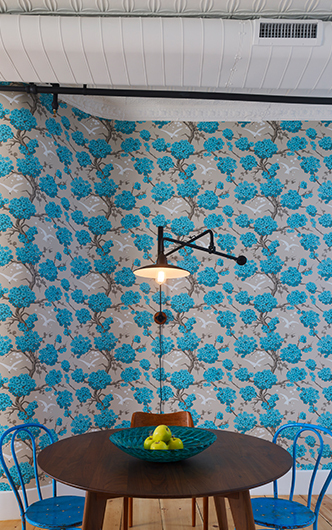 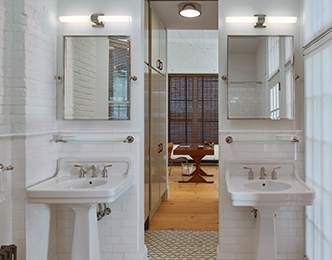 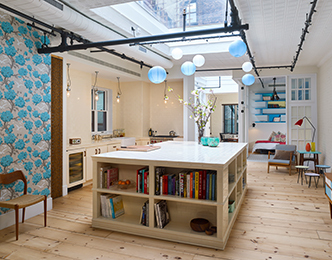 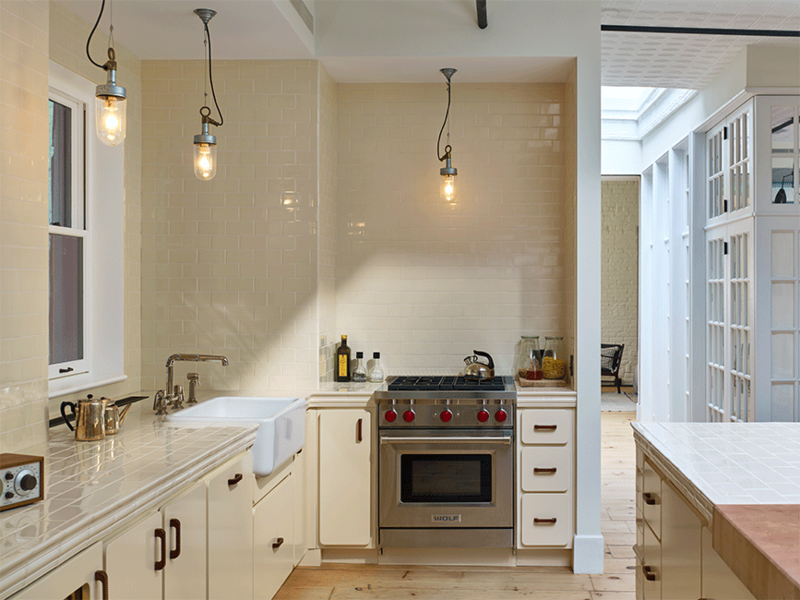 Murdock Solon Architects completed a gut renovation of a landmarked apartment in Soho, creating an airy 1 bedroom, 1.5 bathroom loft with a private roof terrace. 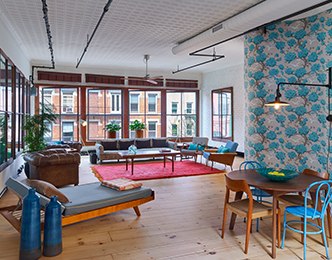 The new layout maximized living space for entertainment and flow between rooms while movable partitions allowed for flexibility and privacy as required. 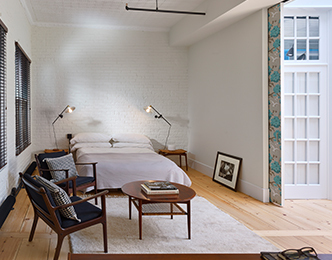 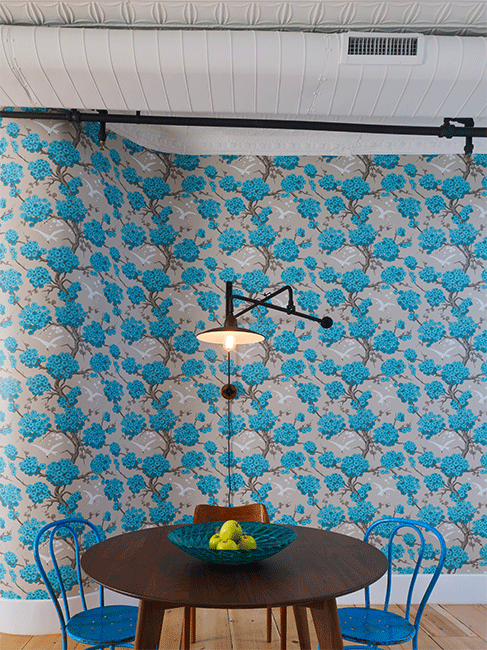 The historic material palate was maintained and highlighted, from the restoration of tin ceilings to the creative reuse of existing doors and windows throughout the new loft space. 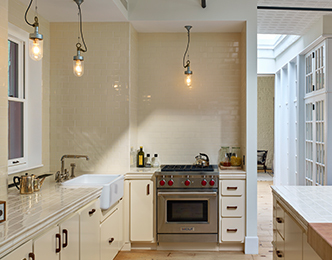 Custom millwork and cabinetry provide design accents while reinforcing the historic craftsmanship of the existing building.